Daraius: We used 9,000 British Airways Avios points each to fly on American Airlines from Austin to Chicago. 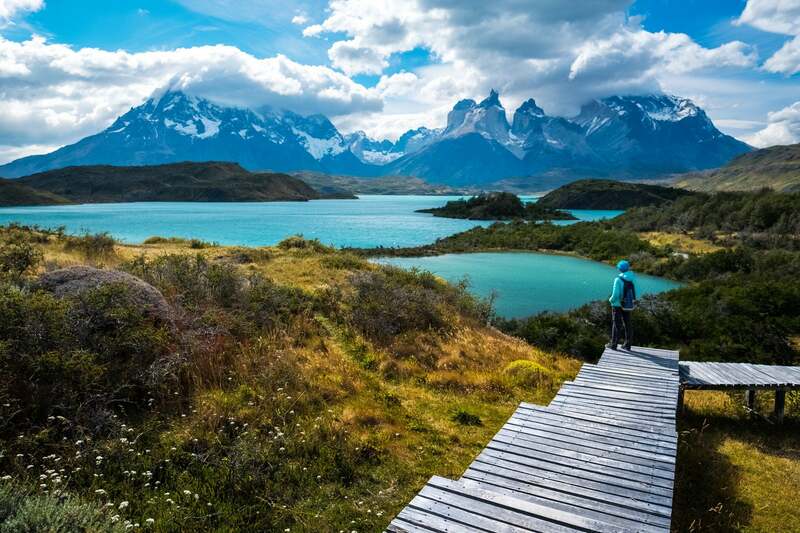 The same flight would have cost 12,500 American Airlines miles, which is why it is very helpful to have a stash of British Airways Avios points for short-distance flights! 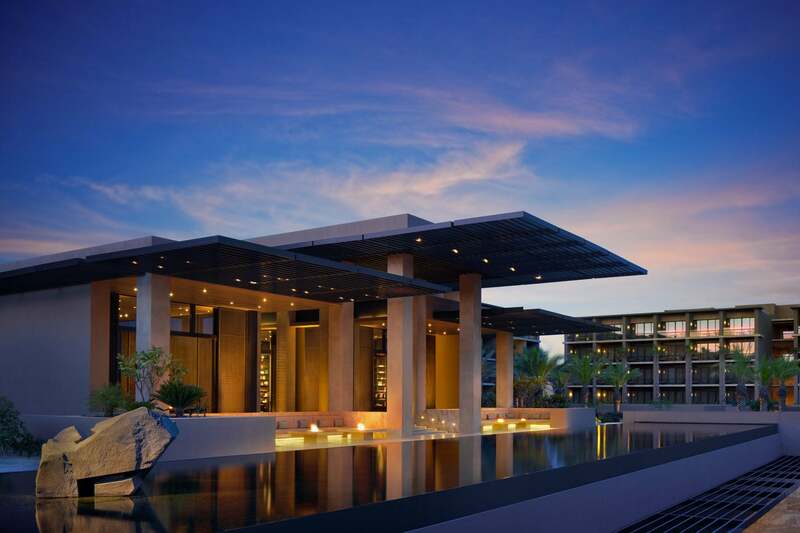 You can transfer American Express Membership Rewards & Chase Ultimate Rewards points to British Airways. 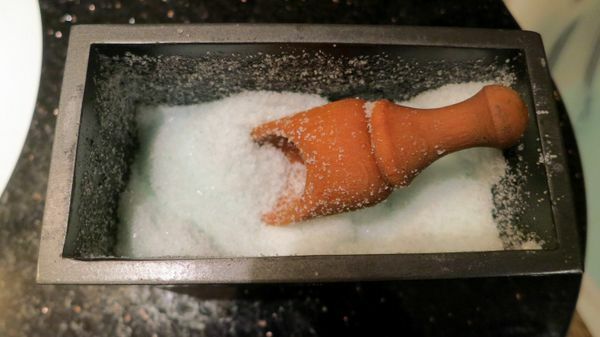 Emily Jablon: We rented a cheap rental car and drove to my favorite Thai restaurant, Siam Splendour in Evanston, a suburb of Chicago. We ordered tom kha kai, a creamy, vibrant coconut milk soup, a seafood salad with at least 5 different kinds of seafood, and panang curry with chicken and peppers. Everything was delicious and we savored every bite! Daraius: I wouldn’t rate this as my favorite Thai restaurant, but they certainly do have a very good tom kha kai soup! 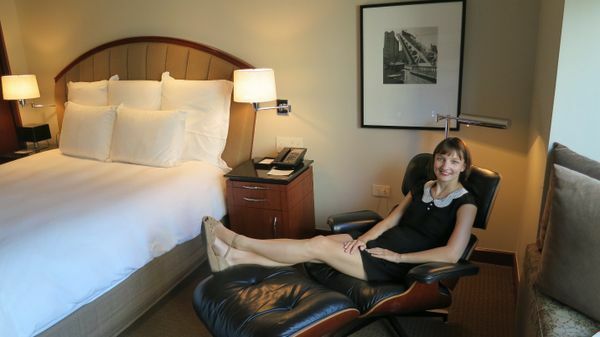 Emily Jablon: Daraius booked us for one night at the Park Hyatt in Chicago. 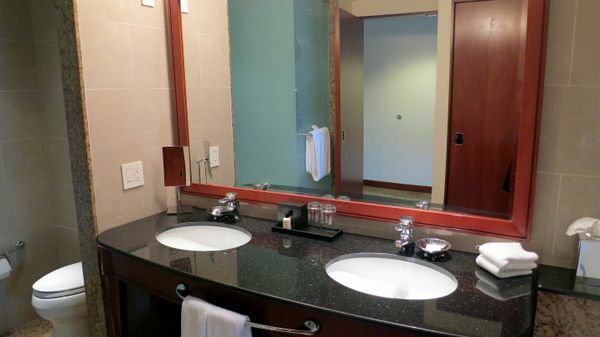 The hotel is in downtown Chicago, a short walk from the Lake and virtually on Michigan Avenue. There is a parking garage at 111 East Chestnut, just a 5 minute walk from the hotel. 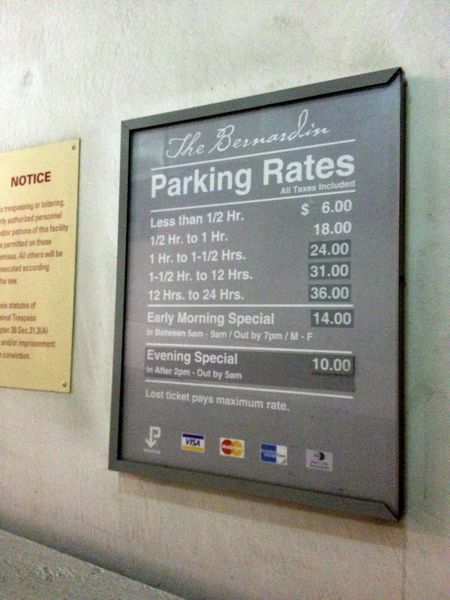 Parking costs $38 a day, compared to the $62 for valet parking at the hotel. There is no self-parking option. 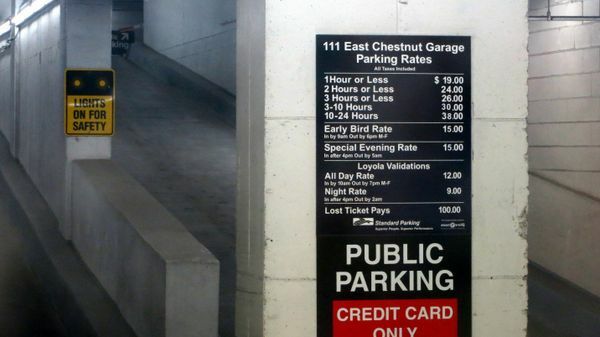 Parking Rates at 111 East Chestnut – Credit Cards Accepted! There’s another parking garage at The Bernardin, at 747 North Wabash Ave. Daily parking was $36 a day. It was also a 5 minute walk from the hotel. We checked-in and received an upgrade to a King Lake View room. 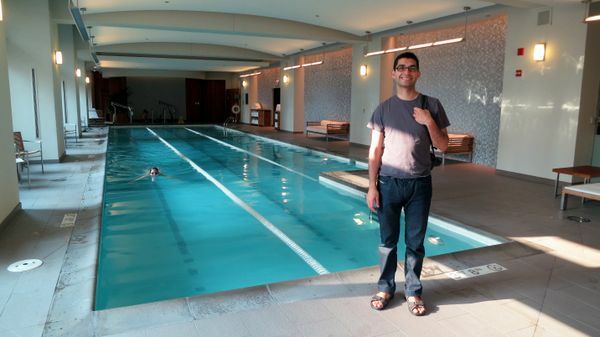 I had written to the hotel and I’m sure my top-tier Hyatt Diamond status also helped. The entrance was dark and full of drama (in a nice way). There was a lounge beside the lobby, which was open to all. 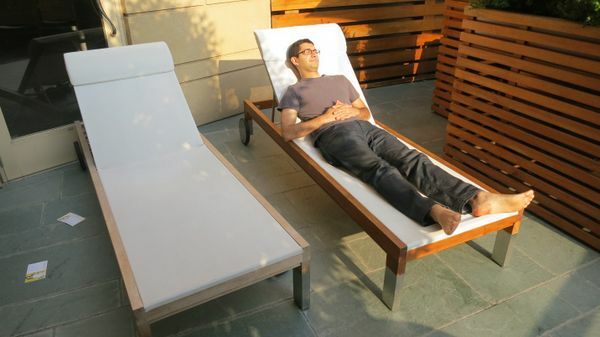 …but there was only a little bit of outdoor space. The lounge chairs were located right next to the bar, so I can imagine it getting noisy around lunch and dinner time! Our room was relaxing and fairly spacious. 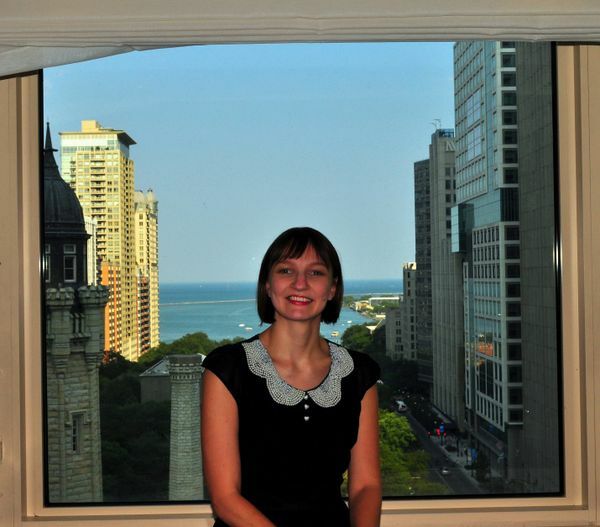 There were large windows and at the end of the street, we could see Lake Michigan. There was a desk and flat screen TV. 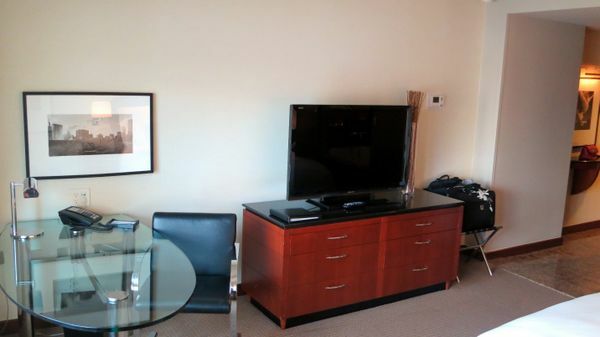 …and a large flat screen TV. 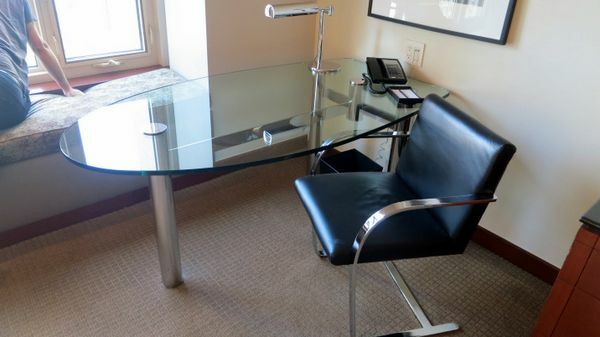 …and a spacious desk for Daraius to work on. 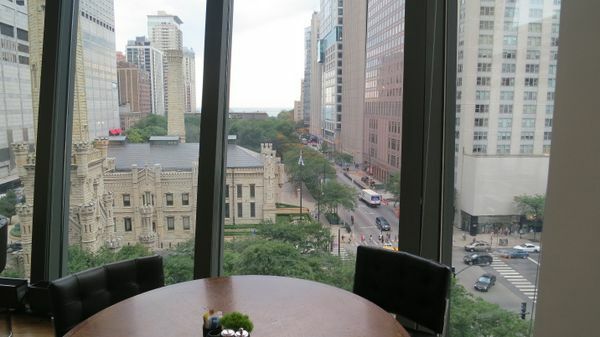 One of my favorite parts of the room was the view of the Chicago Water Tower & Lake Michigan at the end of the street. We could see also see Michigan Avenue from our room. 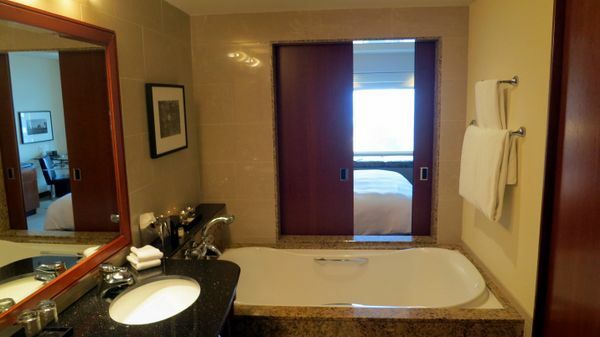 There was a privacy door separating the bathroom from the bedroom. 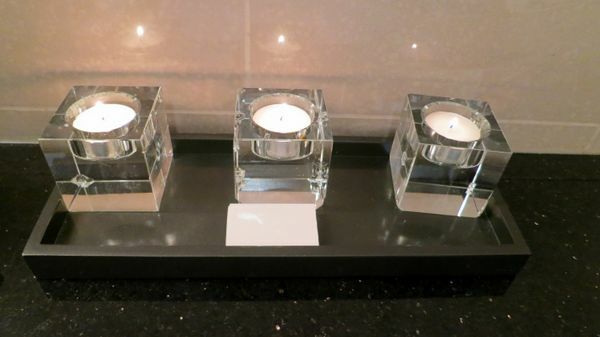 Tubside Candles to set the Mood! The next morning, we had breakfast at the hotel. 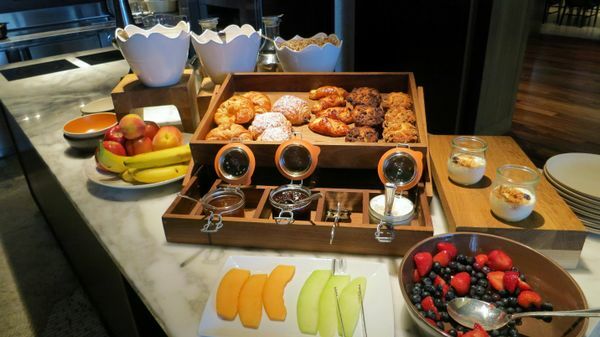 Since Daraius is a Hyatt Diamond member, we got free breakfast. 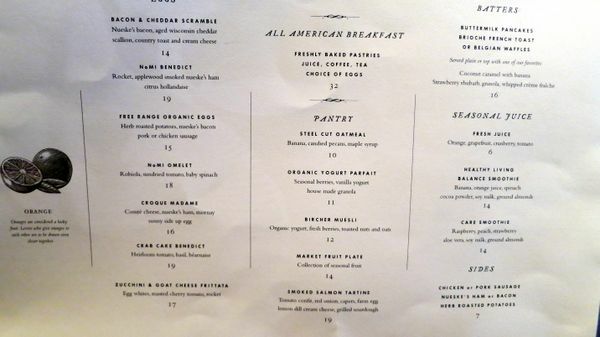 But breakfast is expensive otherwise, with an American breakfast costing $32 plus taxes and tip. There are other cafes and restaurants close to the hotel that are cheaper. 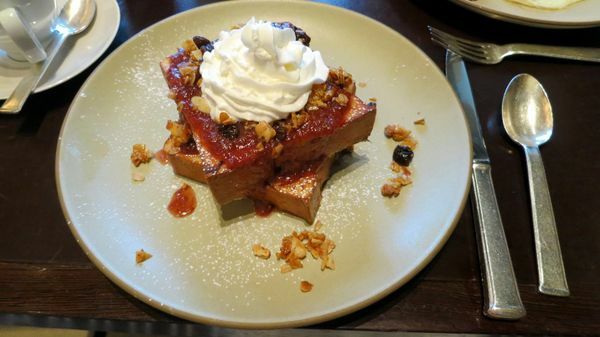 I had French toast with strawberry rhubarb and cream. 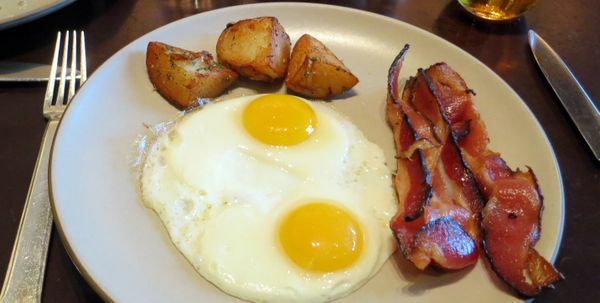 Daraius had eggs sunny side-up, bacon, and wheat toast. He’s so predictible! Daraius also had apple juice and I had a latte. Breakfast was good, but not amazing. 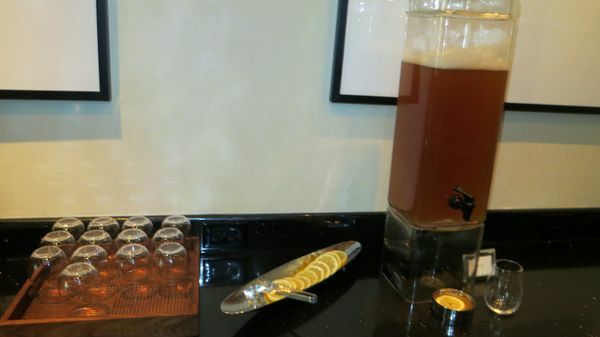 And the buffet was a bit sparse compared to the wonderful buffets at other Park Hyatt hotels. However, the views from the hotel restaurant were nice, though there are only a few tables by the window. 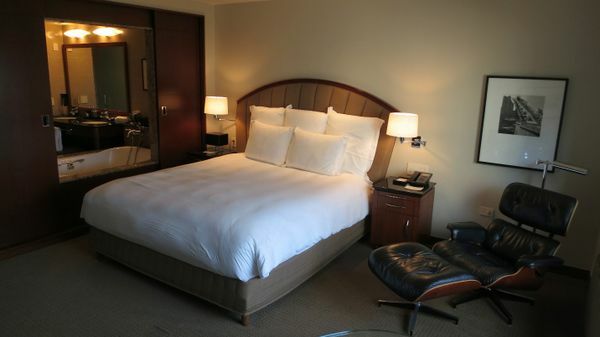 The Park Hyatt in Chicago is in a great location and the rooms are very comfortable. 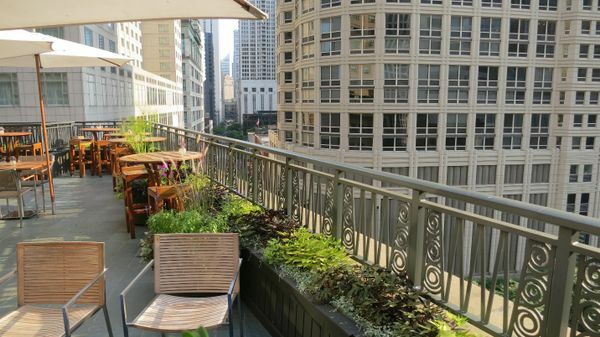 That said, I’m not sure I’d splurge the extra Hyatt points to stay at the Park Hyatt in Chicago when you can stay at the Hyatt Magnificent Mile for fewer points. 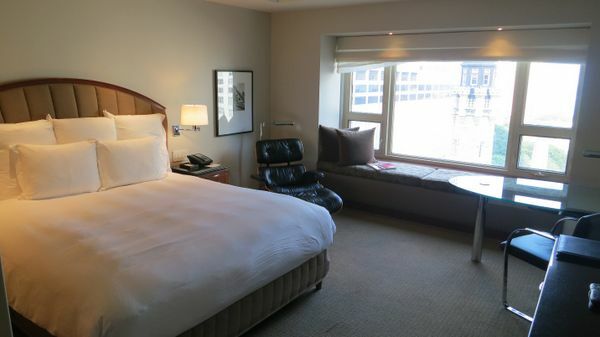 Not sure if you’ve tried the Hyatt Regency on Wacker, but I have to say I like it as much as the Park Hyatt (and I’m a little partial to the location by the river). They have the same beds without the same water views, but the towers are a decent height with SOME views. And they have a seriously gorgeous, airy bar downstairs. No Eames loungers though. 🙂 It’s worth a shot if you ask me, thought I’m not sure how it compares to the Hyatt in between the two. Thanks for the review as always, and I loved the pictures! Happy Anniversary. 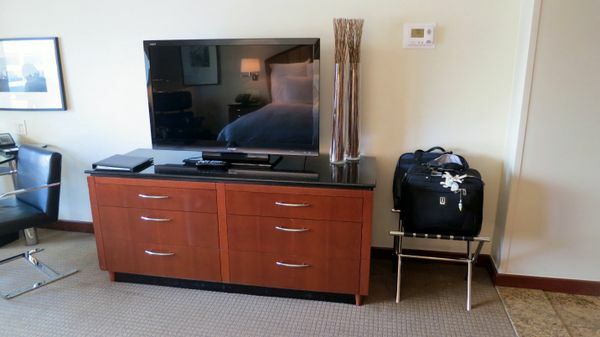 @cecil – I’ve been to the Hyatt Regency, but thought it a bit too big for my tastes. But it does have some nice views! I’d stay in all 3 of those Hyatt’s! @ Anna- Thanks! I got it on Modcloth.com. If it’s not listed now, they occasionally bring it back. 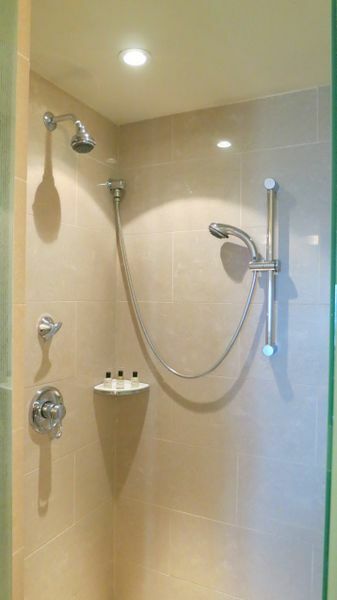 @ John- It was also convenient and saved time because I was also visiting friends who lived north of the city. 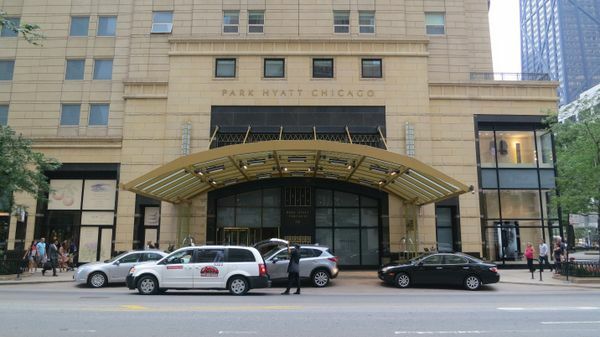 Curious how do the 2 Hyatts (Magnificent Mile and Park Hyatt) compare in terms of location and amenities to the Radisson Blu Aqua Hotel? Was thinking of using some of the Club Carlson points there. @wade77 – We didn’t go out to the lake this trip, but it is always nice to do in summer! @John F – Cabs and Uber would have been more expensive than paying parking for 1.5 days! 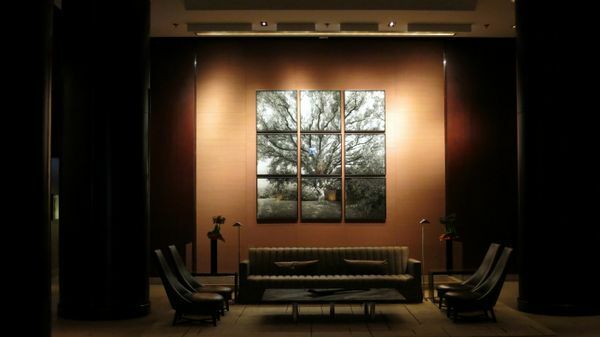 @Jason – I haven’t been to the Radisson as yet, but the two Hyatt’s are fairy close to each other. Just wondering whether you really needed to rent a car? Less hassle, way cheaper to take train in from O’Hare (subway stop 2 blks to Park Hyatt), and just train, cab or Uber it to Evanston? I hate paying $36+ for parking! 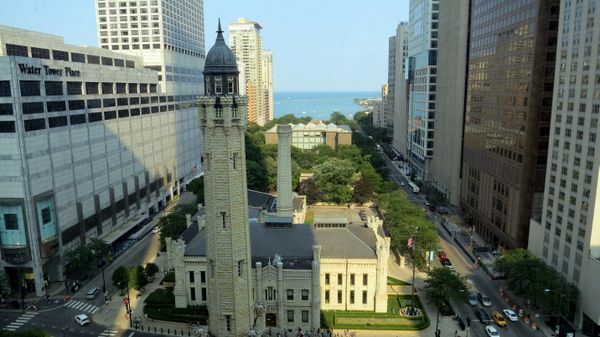 We stayed just down the street at the Hyatt Magnificent Mile last weekend, so it’s interesting to compare. 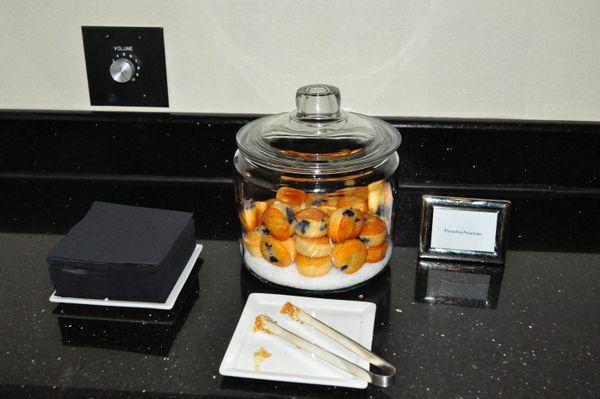 Looks like the HMM has a far superior breakfast buffet, similarly nice rooms, and less ideal views of the lake. Thanks for posting. And cute outfit, Emily!